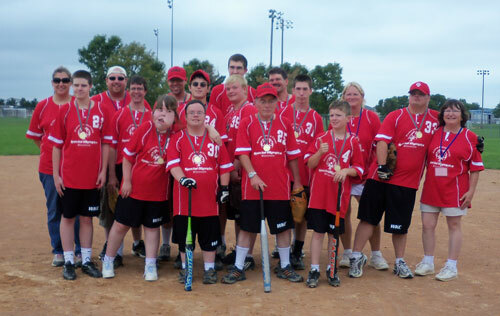 The Western Kenosha County Special Olympics softball team came home with gold medals by taking first place in Division four at the Outdoor State tournament in Eau Claire Aug. 6 through 8. Players include Jennifer Spader, Steven Poepping, Walter Volk, David Schmeelk, Jacob Best, Jacob Weber, Dylan Jackson, Chris Mark, Peter Annis, Andrew Geyer, Tommy Cravens, Zach Oswalt and Gordon Hodge. The team is coached by Karen Best, Julie Poepping, Audrey Oswalt, John Schmeelk and Marcia Nolan. Posted in: Special Olympics, Wilmot High School.